In 2012 having worked as a community occupational therapist for many years I fell from a ladder and sustained complex fractures to my shoulder which necessitated a few months away from work. This gave me the chance to reassess work/life balance and make some decisions about future directions. 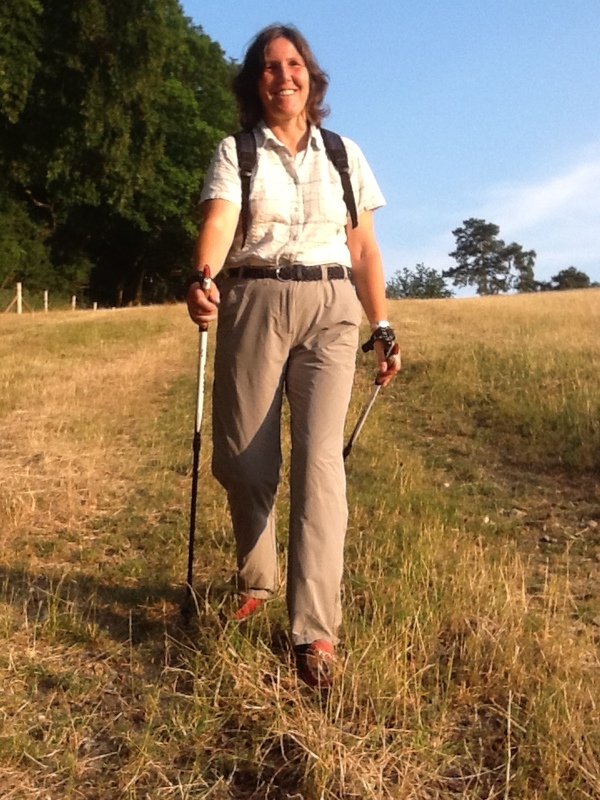 Part of my rehab was achieved through Nordic walking and I was so impressed with what this can offer that I went on to train as an instructor and am now a qualified Nordic walking instructor and delivery partner for Nordic Walking UK. I come from a farming background and until recently bred Alpacas, using their incredible fibre for luxurious items. Having lived in and around Henley for 30 years I have a thorough knowledge of the maze of footpaths and bridleways, the natural phenomena, historical buildings and curios and have always been fascinated by wildlife and nature. We have been closely involved in rowing and regattas for many years so are in a position to pass on knowledge about Henley regatta and other regattas and events on the river nearby. There are a huge variety of activities on the Thames from swan upping to river pageants and open swims to dragon boat racing. The River and Rowing Museum is a unique facility which is well worth a visit. As an Occupational Therapist I have extensive experience in working with those with some form of disability, maximising their independence, and helping them to engage in activities of their choice. I am registered with the Health Care Professions Council and am committed to my own professional development via ongoing practice and training both as an Occupational Therapist and as a Nordic walking instructor.